Through a grand total of five big screen, live-action Spider-Man movies, we've seen an assortment of both good and bad stories inspired by the pages of Marvel Comics - but everything is different now. The webslinger will soon be making his debut into the Marvel Cinematic Universe, and that will open all kinds of story opportunities for years and years to come. But which classic arcs in particular should the folks at Marvel Studios and Sony be looking? If it were up to long-time Spider-Man writer Dan Slott, it would be the legendary "Kraven's Last Hunt." This is something that comics fans get upset about when a movie is being made before they get a chance to see it. You have to change things for the movie. There are things that work in a comic, and then there are things that you can only do in a movie. But I think if someone, as a starting point, took 'Kraven’s Last Hunt,' which is one of the greatest Spider-Man stories ever told, I think you could have a phenomenal movie. That classic story - from writer J.M. DeMatteis and artist Mike Zeck - began with the killer, obsessive Kraven The Hunter slowly dying, and not wanting to leave his life behind without completing the greatest hunt of his life: Spider-Man. After juicing up with the help of some jungle herbs, he successfully trapped Spidey, shot him, and buried him. 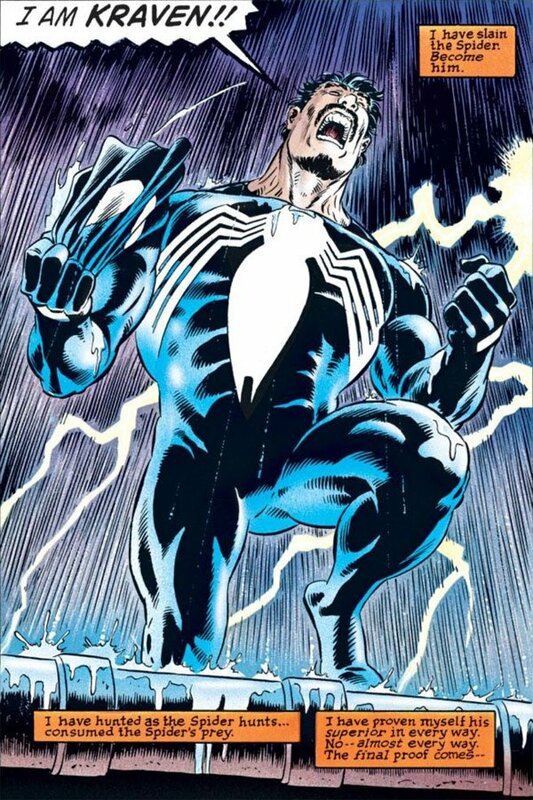 After his victory, Kraven then sought out to prove that he could be a better Spider-Man by putting on a copy of the webhead's costume and saving people (albeit not without a body count). It was eventually revealed that Peter Parker was merely tranquilized and then buried alive, and after he escaped his coffin, he was pretty damn pissed off at the guy who put him there. For what should be obvious reasons, it's extremely unlikely that "Kraven's Last Hunt" would be the storyline used to inspire the plot of the Spider-Man reboot that's coming in 2017, but Dan Slott is absolutely right in saying that the material could be fantastic for adaptation. In order to make it work, Kraven would probably have to be a firmly established character in Spider-Man's world, but it's not hard to imagine the arc unfolding in a sequel down the road.